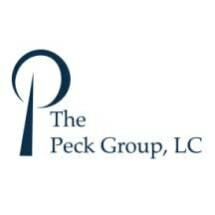 At The Peck Group, LC, we devote our practice to one area of law: tax. Our attorneys have shared a dedication to helping individuals and businesses overcome challenging tax issues. Whether you are faced with an audit, overwhelmed with tax debt, or need estate and tax planning, you will find trusted and confidential guidance at our law firm. Based in Atlanta, Georgia, we represent taxpayers nationwide. In many cases, taxpayers fail to assert their rights when confronted with a tax problem. Whether through the receipt of a tax notice or a visit from an agent, taxpayers are often unprepared. Understanding that the IRS begins building its case at first contact, taxpayers can level the playing field with competent, experienced representation. Unlike other representatives, our attorneys are licensed to practice before the United States Tax Court. Through attorney-client privileged communications, preparation for interaction with governmental taxing agencies is done confidentially. Tax problems can be intimidating. Not only is tax law complex, but taxing agencies – whether the IRS, the state revenue department or municipal agency – use vast authority and resources. Using more than 19 years of experience, our tax lawyers achieve efficient solutions for even the most complex tax problems. Find out how we can help with your tax issues. For a free half-hour consultation, call 770-884-6914.